World of Logs combat log analyzer allows gamers to save, share and analyze their raiding experiences conveniently and thoroughly in World of Warcraft. If you're new here, make sure you check out the tour for a 1 minute introduction. If you have any questions, we're happy to answer them on the forums. To create an account, simply register and either create your own guild or join one by browsing to it on the realms page. Welcome to the new expansion! We're still updating the site, let me know if I missed anything important. The fastest way is by dropping me an email at miles@worldoflogs.com. Workaround bugged data: heal + absorbed event for -2^31 HP in the log was causing negative healing totals. Updated spec detection for Bear druids, Blood Death Knights, Discipline Priests and Survival Hunters. Fixed the client for the new COMBATANT_INFO line causing an overflow, too many commas. Fixed the guild leader verification tool, it used an ancient version of the Battle.net community API that stopped working. As you've probably noticed, tactical overview pages for all bosses in the current raid tier have been added a while ago. Nothing new to see for now, but there are a few things work in progress to make your raiding easier. (Old) guild's rankings page stray colspan removed. Fixed ?type=json option on rankings pages, data was incomplete. And now you know it exists. Updated guild reports data feed (/feeds/guilds/[id]/raids), they were forgotten in the big rip-and-replace change for internal database models. And now you know it exists. Add ?t=plain/xml/json for variants. Changed global backend timeout to individual ones, customized settings to allow larger logs to update more smoothly. Brackenspore and Twin Ogron have been added to the Tactical Overview, and the page itself has been changed a bit. Added hover on aura graphs to show who's datapoint it is - must have for crowded graphs. 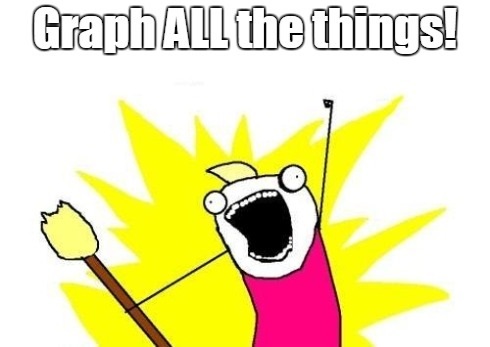 And I'm off to the next feature to code. Ideas? Write me at miles@worldoflogs.com or post on the forums. Oh yea, I've received a poke about Stagger. It's been on the todo list for ages, but as it's a really annoying ability to track, so far prototypes aren't working out so well. Got an idea? Poke me. Ko'ragh <Breaker of Magic> has been added to the Tactical Overview, with support for showing the Nullification Barrier status, stacks of Breaker's Strength, Overflowing Energy handling, Destabilize (adds) handling and the Expel Magics. If you have an idea for something to add, let us know and we'll try to have it added before the next raid. Stacks and damage graphs. 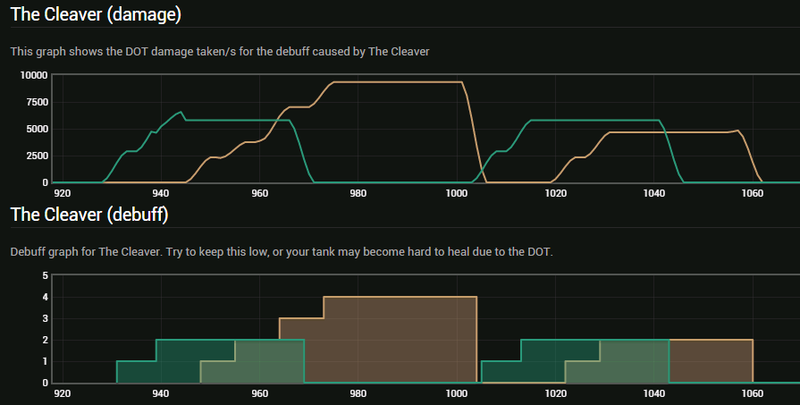 This shows how well your tanks are switching to keep the stacking dots healable. Raid wide debuffs. In this case - silly people stood in the cleave too long and all died at stack 6. Don't do this. Mines on Mar'gok. Shows who stepped onto one. Avoidable damage. Player on the top right "wins" (data summed per player). This one is configured to exclude the first unavoidable random hit and only show people failing at moving. Obviously there are a billion other combinations you can plot, but this will do as a start - later on, you'll be able to customize everything and share your dashboards with other people. It's not only handy for verifying execution of boss tactics, something like compare spell rotations between players should be doable too. The new guild pages for Battle.net linked guilds are almost pretty much functional now; on the new site, you can change a few blocks of information to describe your guild, your recruitment status and how to apply. We're also working on custom guild cover images, here's a little preview of how yours can look like. We've been hard at work to update World of Logs for the new expansion pack and add a few major features. The new raid instances and dungeons have been added, of course, but that's not all. The biggest change is how we handle guilds, realms and authentication. 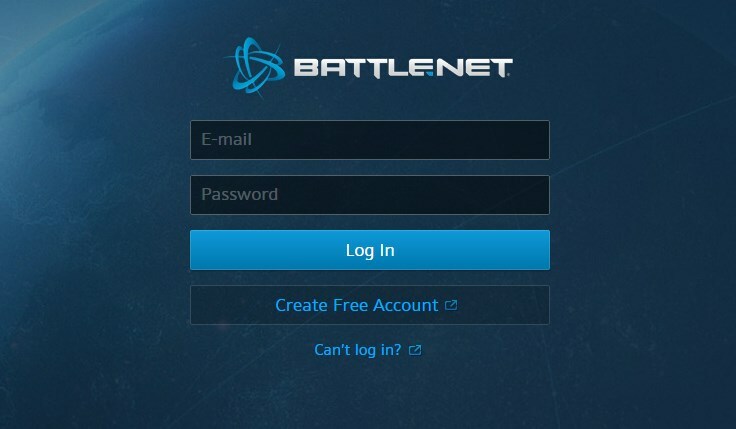 When it's completed, the preferred way to login is to do so with a Battle.net account. Doing so will retrieve your guilds and characters from WoW from Blizzard and you won't have to "create" a guild on WoL anymore and handle members and permissions yourself. Details of this change can be found on the help pages. Please feel free to take a look and send us feedback and feature requests. There are still a few things that don't work for Battle.net guilds yet, most notable, subscriptions. You can continue to login and use the old system for now, there will be an option to transfer all your reports and subscription to the new system when it's ready. A second one is the support for advanced combat logging format in the backend. For now, it's an invisible change, used only for verification. We've a few things planned for this data, check back in a few weeks for more information. Oh, and encounter detection has been updated. Once upon a time, WoW doesn't write any information about encounters to the combat log and the only way to guess what difficulty you're playing on is to look at the data. If the Lich King summons Shadow Traps, it's probably heroic; for bosses like these, it's easy, but there were tons of exceptions that don't have additional spells and required special handling. Now it's a lot easier with an ENCOUNTER_START event; support has been added and all existing reports' difficulties have been updated if it's uploaded with a recent enough WoW version. This only works for recent raid zones though, so instances like Molten Core and 5 man instances are still using old skool detection code or don't have difficulty detection enabled. If there's enough interest we can extend the detection for these instances, but for now, every WoD 5 man is called "5 normal". Molten Core has been added to the ranked raid zones on World of Logs! Do you still know how to handle Garr's bombs and Ragnaros' sons?